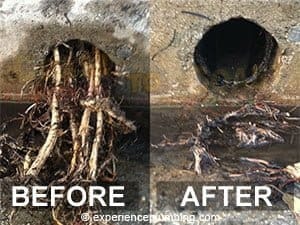 Need drain repairs? 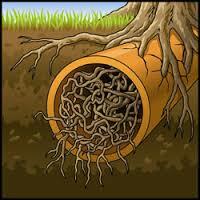 Call us anytime at A1 Sewer & Drain Services, at 201-645-0888. What can I possibly have in this small box here, that costs less than $10, that you can put on with a screwdriver in less than five minutes and that could save you tenths of thousands of dollars and a lot of grief? I’ll show you! Let’s get to work! The device is called a flood-guard. You insert it into a drain and if sewer water or back up comes into the drain, it pushes this floater up, sealing off that water and prevents sewage from coming into your basement. This prevents costly water removal, and saves you money on future drain or sewer repairs. 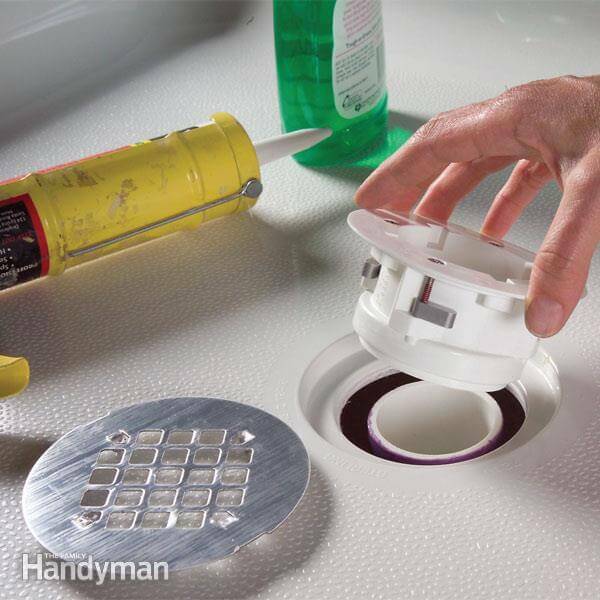 On a typical floor drain, if there were concrete coming up around it, the way to install it is to simply pop your cover off. And you can see the inside diameter of the pipe. Now, I’ve pre-tightened this just a little bit so as to compress this ring and make this swell out. I drop it down into the pipe where I can feel it is a pretty snug fit, making sure I keep it low enough that if this comes up, this will not hit the bottom of the cover. I drop it into the pipe, take my screwdriver and basically screw them in the same way that you would screw nuts to a car tire, opposite each other. Don’t drop this thing, you don’t want it going down into the pipe. I alternate from side to side and I go ahead and I tighten this thing into the hole. Once you have it down here with all it’s screws nice and tight and it’s nice and snug and this (free bolt-valve shown on video) is clear with nothing in and nothing in the way that’s going to stop it from going up and down, we’re good to go! 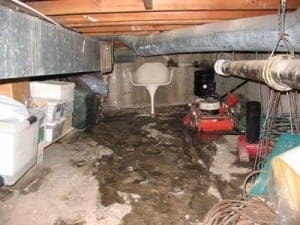 Sewage backups can cause costly water damage to your home. Now, we’re going to run some water in the back side of this pipe. As you can see, it hits the float, it starts to back up out of the pipe, and then finally the float seals itself, so that it stops that water from coming back into your house. As you can see, with a simple press-down of my finger down, you can release that stopper. You can imagine, if this was waste water with excrement and every other foul thing that you can think of. You don’t want this in your basement. I realised that this device is a quick-fix. And it will only cover that one drain that you have. And this doesn’t come maintenance-free. Every year, you have to get in there before the rainy season and make sure you clean this thing off, put a little bit of oil on the float, make sure it’s operating properly. I realize that there are some trap-type systems or bolt-type systems that you can put inside your plumbing lines. They are notorious for failing. If you have a more serious problem that this will take care of it. If you need any help with your sewer or drain please contact us at A1 NJ sewer services and we would be happy to help! At A1 Sewer & Drain, we provide a full range of sewer & drain services in Bergen County and nearby regions of north NJ. Our experienced NJ plumbers proudly serve local homeowners with fast, reliable emergency repair service for drains, sewers, sump pumps, and septic systems. Call us any time from great plumbing service from our local NJ plumbers, call us any time day or night at 201-645-0888.